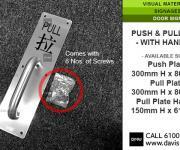 - Suitable for Wooden or Metal of door. 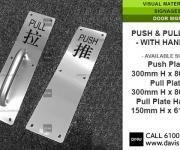 - Comes with 6 nos. 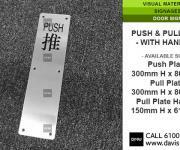 of screws each side for self-mounting. 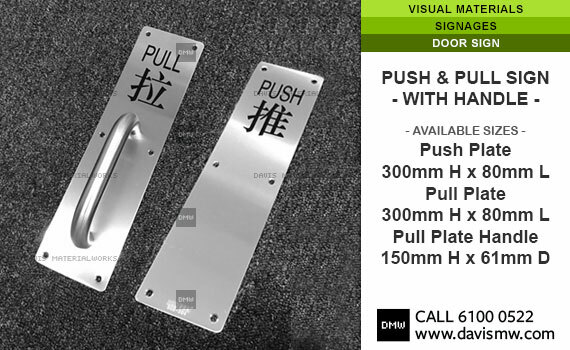 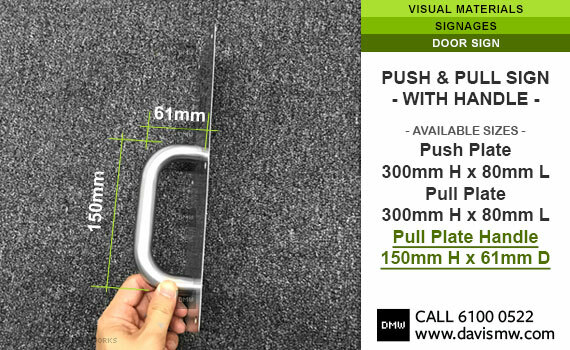 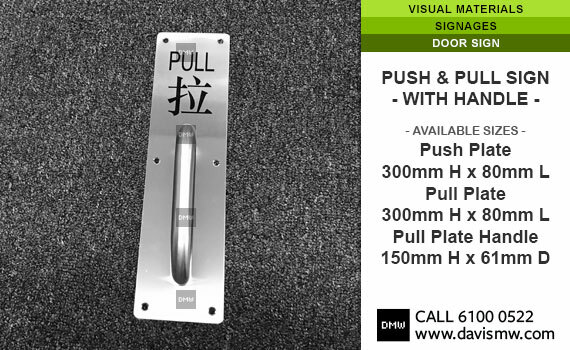 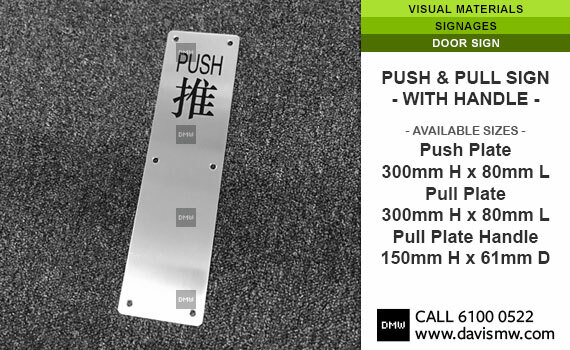 Push and Pull signs are suitable for indicating the swing direction for the door to open. 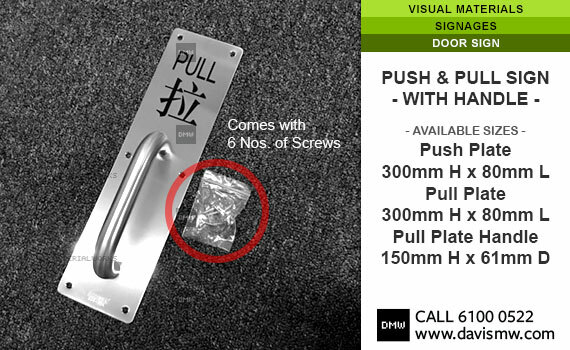 Commonly use at main entrance or doors that only have 1 way / single swinging. 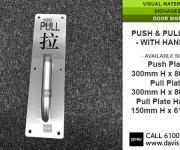 Commonly Pull have a handle and Push is just a plain plate (No Handle). 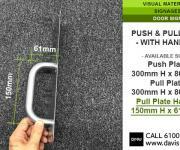 - Cost quoted are NETT, No additional GST.